Somniloquy or sleep-talking is that refers to talking aloud while asleep. 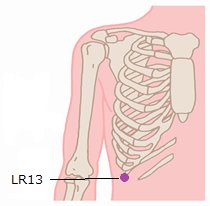 Acupuncture points for Somniloquy is LR13（章門）. To find this point, try to touch the chin with both hands. At that time, both arms are attached to the body. The points where elbows touch the body is CR17.